When you need a plumber North Willoughby residents can trust, you need Plumber To The Rescue! Qualified, licensed, and insured, we’re the local experts. On-time service, 100% guaranteed workmanship and 30+ years of experience make us the leading North Willoughby plumbing team. Don’t wait: book today with Plumber To The Rescue on 1800 620 227. We’re always close by, always ready to rescue you! Because we’re on-time, every time, you can trust us for immediate repairs when you need them. For over 30 years we’ve been the team locals have relied on for all blocked drains, hot water repairs, and general maintenance enquiries. We repair what your husband “fixed”! Book now for service you can count on. Call the experts today on 1800 620 227! If you need plumbing services North Willoughby can trust, you need our team. Qualified and certified for all kinds of repair and maintenance, our team are backed by a 100% workmanship guarantee, and our supervisors and customer service experts. From start to finish of your job, you’ll feel the Plumber To The Rescue difference. Professional labour, clear communication, and a 100% guarantee on all our work set us apart from the competition: we’re the most reliable team in the industry! Whether you’ve got blocked drains or hot water woes, on-time service means you’re getting a repair ASAP. We use GPS tracking on each of our vans to track the closest technician to your job so we can always provide an accurate ETA. With same day service 24/7, 365 days of the year, we’re always close by, always ready to rescue you! Call Plumber To The Rescue on 1800 620 227 for plumbing services in North Willoughby that you can count on. For professional service, reliable repairs, and on-time service on all jobs, we’re your go to! Why book with a tardy tradie or untrustworthy tech when the professionals are right here at your fingertips? Book now with the experts. Known for our licensed North Willoughby plumbers, we’re always close by and always ready to help with all blocked drains, clogged toilets, and hot water problems. Not just that, but thanks to 30+ years of experience servicing Sydney, every job you book with us will be a breeze. From start to finish of your repair or installation, we’ll provide flawless customer service. We quote up-front on every job after inspecting the works, so we can always provide an accurate price for your job. This means there won’t ever be any nasty surprises in the bill! Every stage of your job will be communicated clearly and openly. We send meet your team emails so you can know exactly who’ll be coming to your house, and call ½ hour before arrival, just because we know it will make your life that little bit simpler. Going the extra mile is what our team is all about. Your professional team will work round the clock to make your job as simple as possible. We’re a 24/7 business, and we’re always looking for ways to improve our service: we keep our team up to date with the latest training and kills, with weekly refresher courses keeping our service technicians on the top of their game. Even better, where else can you find safety award winners in Sydney? We’re committed to both your property and our team member’s safety, and work hard to minimise hazards in any work site. We’ll lay down protective sheeting to protect your carpet, and carefully work around any risk factors to make sure everyone is safe. Why wait? You need a plumber in North Willoughby, so you need our services! Call today on 1800 620 227 for service you can count on. We repair what your husband “fixed”! For reliability and integrity, it has to be the plumber North Willoughby trusts: it has to be Plumber To The Rescue! Active in this small suburb for over 30 years, we’re big fans of the whole Lower North Shore. 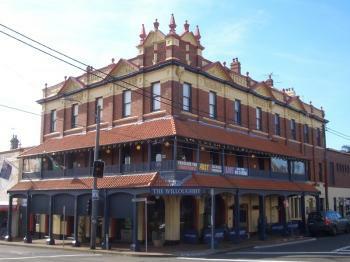 With a population of 4,200 or so, North Willoughby is comfortably 9 kilometres north of the Sydney CBD. Close enough for easy access to the city but far enough away to retain a quiet village feel, it’s a great place to live. If you’re local to North Willoughby, don’t wait. Call the plumbers North Willoughby trusts on 1800 620 227 today for immediate assistance. We’re always close by, always ready to rescue you!